Utah State University student Brianne Brooks’ winning concept for dscvr 2018, “Cosmo,” was inspired by space exploration. Durkan, in partnership with NEWH, is accepting artwork submissions for the dscvr Student Design Competition through March 15, 2019. CALHOUN, Ga., January 14, 2019 /3BL Media/ - Durkan, the hospitality flooring brand of Mohawk Group, is now accepting artwork submissions for the dscvr Student Design Competition, its annual hospitality design contest. Brooks’ winning concept, “Cosmos,” was inspired by space exploration and the drama of the contrast between bright colorful nebulae and the dark void of the universe. After winning the competition, Brooks was able to use her scholarship money to help with textbooks, other tuition expenses and LEED Green Associate certification while taking part in an unpaid internship last summer. She will graduate in May 2019 with a degree in interior design and is now considering a career in hospitality design. In the decade since its inception, dscvr has generated several success stories. Meg Turner, the contest’s grand prize winner in 2017, now works for Durkan as a field designer. Her first hospitality carpet collection, Symbiotic, will launch later this month. For the competition, student designers will submit concepts for flooring in standard ballroom and pre-function settings that are created as separate components but coordinate with one another, with the number of colors not to exceed 12. 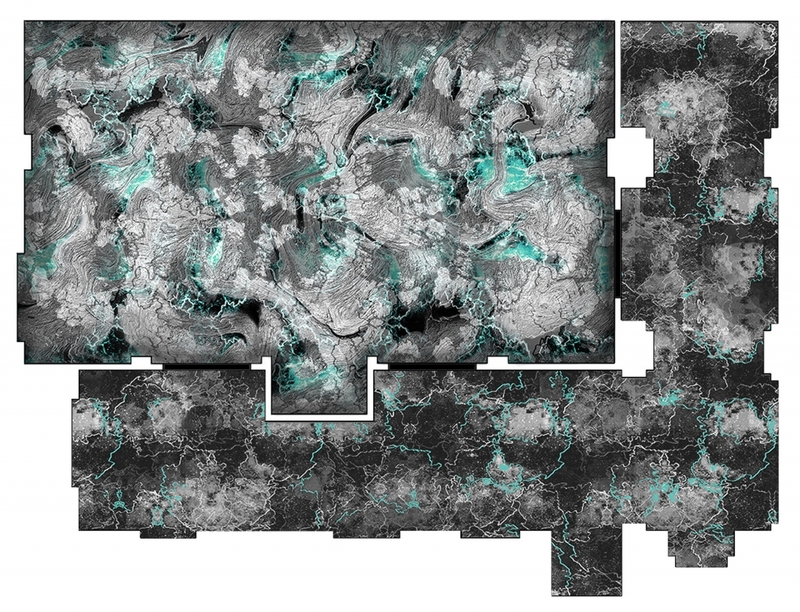 Entrants are encouraged to view the floor spaces as blank canvases that become one large design. Submissions will be reviewed by a panel of Durkan associates and be judged based on concept, presentation and market feasibility. Entries for dscvr may be submitted through Friday, March 15, 2019. All entrants must begin their submission by using the form available at Durkan.com/dscvr. Only one entry per person is allowed, and entries cannot be returned. Additionally, professional carpet designers, including freelance designers commissioned by a carpet manufacturer or a staff designer for a carpet manufacturer, are not eligible. To qualify and become a member of NEWH, visit NEWH.org/join. For additional information about the Durkan dscvr Student Design Competition, including rules, eligibility, specific design requirements and terms and conditions, please visit the dscvr website: Durkan.com/dscvr. From the hotel lobby and corridors to guest rooms and ballrooms, casinos and areas of assisted living facilities, Durkan is world-renowned as an industry leader in innovative design solutions and high-style, high-performance hospitality flooring solutions. Durkan’s products are offered in a wide range of exclusive innovative pattern and texture technologies, including Definity™, an advanced generation precision sculpturing technology that produces the highest definition of texture, pattern and color available in hospitality carpet; and Synthesis™, which provides a three-dimensional layering effect using a custom base and Precision Dye Injected (PDI) surface that enables unprecedented image quality. Durkan is the hospitality brand of Mohawk Group, a leading commercial flooring manufacturer and a pioneer in the design of sustainable flooring. NEWH is the premier networking resource for the hospitality industry, providing scholarships, education, leadership development, recognition of excellence and business development opportunities. It’s about scholarship, education and business networking. Since its inception, the organization has awarded over $5 million in scholarships to students pursuing a major within the hospitality industry. Members of NEWH, Inc. are professionals actively engaged in development, management and operations, architecture, communications, design, distribution, education, manufacturing, production, purchasing and sales of the hospitality, food service, senior living and related industries.